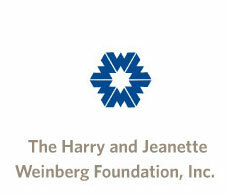 Caregiver Champions, an initiative of the Jewish Healthcare Foundation (JHF), supports family and informal caregivers by helping them to better care for themselves, reduce stress and gain access to important caregiving information and resources. 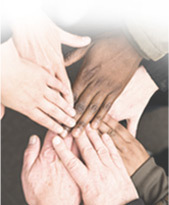 Open to people of all faiths and backgrounds, the program consists of Caregiver Learning Circles a series of six, free two-hour sessions designed to provide informal learning about caregiving topics in a casual setting. Click Here to find a Learning Circle in your community. Each Learning Circle is hosted by a Caregiver Champion, an experienced informal caregiver trained to serve as a resource of information and support within their community. Click Here if you are interested in becoming a Caregiver Champion. Caregiver Champions is funded in part by grants from the Jewish Healthcare Foundation, The Harry and Jeanette Weinberg Foundation, The Commonwealth of Pennsylvania’s Department of Community and Economic Development and Department of Public Welfare.